The most polluted lake in Central America, Amatitlan Lake, receives its effluents from a largely urbanized watershed that extends 381 Km2. 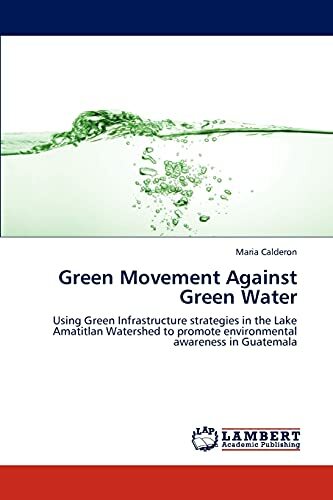 With more than half of Guatemala City situated within the lake’s watershed, sediments, polluted runoff and sewage constantly get deposited into the lake, turning it into a dead, eutrophic body of water with high contamination ratings comparable to a sewage tank. Most people living on in this watershed don’t imagine that the untreated domestic waste that they dump into the river is partly to blame for the catastrophic degradation of Lake Amatitlan. This research characterizes the watershed of the lake, looks at the contaminants and issues affecting it, evaluates remediation strategies currently being used and suggests alternative strategies based on ecological restoration design. These new strategies are inspired by case studies of effective modern practices for filtration, remediation, management and environmental education. Additionally, the design of an educational wetland park near the lake will demonstrate how natural processes can be used to filter polluted effluents and provide a habitat for native species. Maria is from Guatemala and has had the opportunity to live and study abroad in the United States, Germany, China, and Australia. Her passion for ecology and design led her to study landscape architecture in Cornell University. She now practices this profession in her own country where she eager put her experiences to work.